The Hawke’s Bay and East Coast Aero Club was New Zealand’s second aero club, being incorporated on the 12th of November 1928. Over the years it has operated two regular air services. Recent developments in regard to the air link between Gisborne and Hastings, which has proved so important on several occasions during the past two years, will be of general interest to readers in this district. 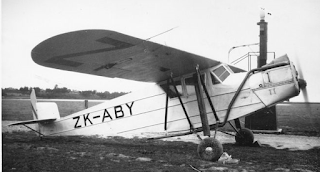 During the past few days, the Desoutter cabin plane, ZK-ABY has changed hands, and is now under the control of the Hawke's Bay Aero Club, with headquarters in Hastings The passenger service formerly carried on by the Gisborne Air Transport Company will be maintained by the Hawke's Bay Aero Club, though it is understood that a minimum charge for the employment of the machine between Hastings and Gisborne is to be fixed on a scale which will make it desirable for passengers to arrange to travel in pairs. The plane has accommodation for two passengers, and whereas the Gisborne Air Transport Company was willing to run a trip to Hastings for a single fare, the organisation now controlling the machine anxious to maintain a wider working margin. The pilot of the service was initially Flight-Lieutenant W. H. Lett, who moved toinstructor to the Manawatu Aero Club as an instructor. His replacement was Flying-Officer A. C. Gerrand, the Hawke's Bay Aero Club's instructor. The service was still operating in May 1933 but seems to have petered out by the time East Coast Airways started services. 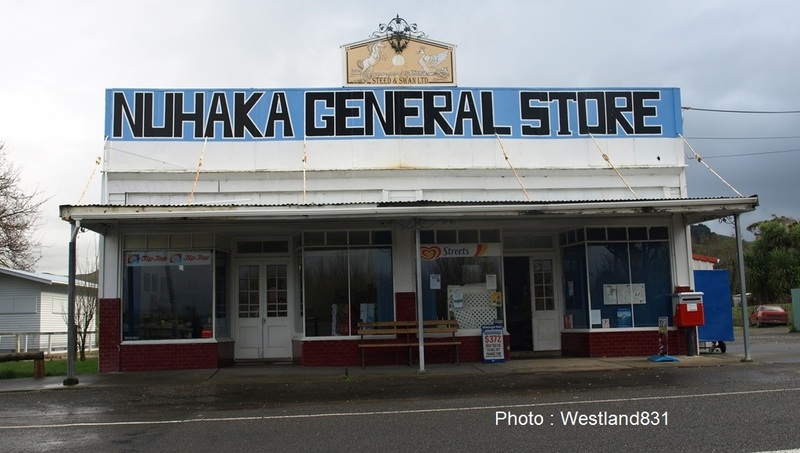 The Club's second regular service began in the early 1970’s when it operated a Hastings-Wairoa-air drop at Nuhaka-Gisborne service on Sundays to deliver Sunday newspapers in early 1970s. 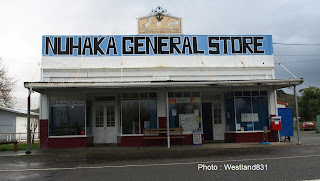 The flight landed at Wairoa while the Nuhaka papers were delivered by an air drop. The Club mainly used Piper Pa32-260 Cherokee 6 ZK-CNE (c/n 32-41). This aircraft crashed on the 5th of July 1974 while making an emergency landing on the Manga¬ototo Station airstrip which is situated on the top of Morere Hill. The pilot, Mr Herb Maxwell, the club's chief instructor Mr Herb Maxwell and his four passengers escaped without life threatening injuries. The ill fated Piper Cherokee 6, ZK-CNE. Nowadays the Hawke’s Bay and East Coast Aero Club continues to operate regularly through Wairoa on training and charter work under the banneor its wholly owned company, Air Hawke's Bay Ltd. The charter work often involves ferrying medical staff to the Wairoa Hospital. The doctors run has been running for some years now, certainly since the late 80`s. Predominantly by the two ex department Senicas DCM and DCI. DCM took a back seat in the mid 90's with the purchase of RSQ. This leaving DCI to do most of the Wairoa work, with RSQ helping out out when not doing longer flights to other hospitals with LWN. In later years DCM had major refurbisment done, with DCI being sold. First great site! Second doctors run is no longer operated by air Hawkes Bay, it was taken over by Skyline Aviation. DCM is still operated by Air Hawkes Bay for training but it is the only twin they operate.